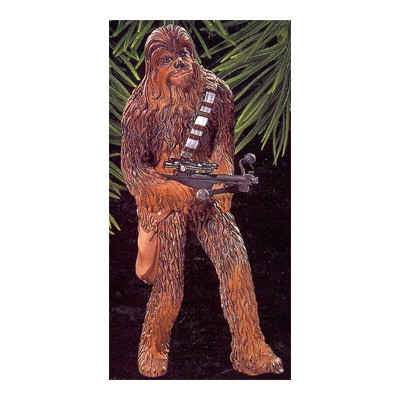 Chewbacca speaks with growls, but when he's holding a Wookie bowcaster, there's no mistaking the message! Chewie is strong, intelligent, and fiercely loyal to Han Solo - who once saved his life. As copilot of the Millenium Falcon, Chewie has plenty of opportunity to prove his loyalty.